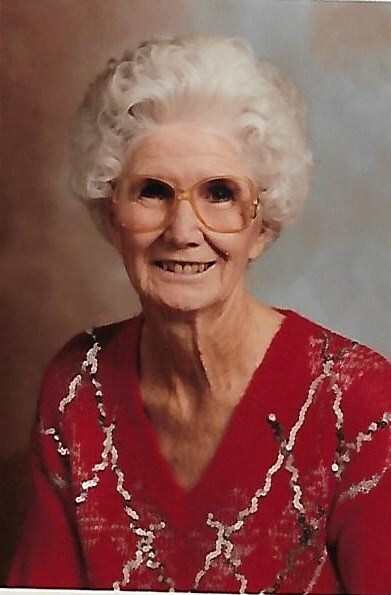 On Saturday, January 12, 2019, Mildred May Phillips passed away at the age of 98 years. Mildred was born on July 14, 1920 to Daniel and Ella Parkhurst. She grew up in Cherry County Nebraska. Mildred met her husband Chester Alfred “Mick” Phillips at a barn dance she attended with her family, fell in love and married him on October 23, 1939 in Gering, Nebraska. Mildred and Mick settled on a ranch north of Whitman, Nebraska where they had their children, Ella May and Ivan Ray. Mildred enjoyed raising their children and working the ranch with Mick for 47 years. After Mick passed away, Mildred continued to live on the ranch with their son Ivan for another 31 years. She spent many winters in Brush, Colorado with her daughter Ella May, spending time with her grandchildren and great-grandchildren throughout the years. Only after health concerns made it difficult for her to live on her own, did she leave the ranch to live in Gordon, Nebraska at Countryside Care. Mildred is preceded in death by both her parents, 13 brothers and sisters, and her husband Mick. She is survived by her daughter May (Darrell) King, son Ivan (Phyllis) Phillips, her grandchildren, Pam Yeager, Brett (Sam) King, Brad (Teresa) King, Don (Valerie) Phillips, and Dean (Karen) Phillips, 12 great-grandchildren, and 4 great-great grandchildren. A funeral service will be held on Tuesday, January 22, 2019 in Gordon, Nebraska at the Chamberlain-Pier Funeral Home at 10:00 am and graveside services will follow at Hyannis Cemetery at 12:30 pm where her body will be laid to rest next to her beloved husband.